If any of you caught My Couch to 5k Journey post a little while back you will already know that this year I have (quite shockingly) taken up running and one of my New Year goals was to take part in a local Park Run. I first looked into Park Run last year after so many people had recommended it to me as a great way to exercise and meet new people. At this stage I wasn't running at all so the thought of taking myself off to an event like this just filled me with a lot of anxiety and I didn't feel ready at all. I was aware that you don't have to be a runner to take part, and if you like you can even just walk it, but inside I just really wanted to feel a bit more fit before signing myself up. Deciding to take part in the Couch to 5k programme really was the best decision I ever made. It's enabled me as a complete beginner to slowly build my confidence within the comfort zone of my local streets, and with no one to compete with or bare witness to my struggle. I've taken it at a pace I've felt comfortable with and within three months I found myself able to run for thirty minutes for the first time in my life. This has felt like such a huge achievement and as I approached the end of the programme I've found myself feeling more ready than ever to take things to the next level. I made the decision that I would complete my final Couch to 5k run at my first Park Run event and that this would be the perfect way to celebrate completing the programme. As soon as I decided on a park and date I surprisingly found myself really looking forward to the big day. The only part I wasn't so keen on was the 9am Saturday start time! When the Saturday finally came around I actually felt pretty nervous. I think it was a more a case of not knowing what it was going to be like that anything else. I was also naturally worried that I would be considerably worse at running than everyone else there! Lots of people had told me not to worry and that everyone takes it at their own pace. But still those thoughts lingered in the lead up to the big day. I got there pretty early and made my way to the meeting point. Soon after there was a short talk for newbies like myself where they briefly explained the course and what to expect. Then we made our way to the starting line where I firmly positioned myself near to the back with the walkers. When the run started I felt a little chaotic in myself and not ready as I had stupidly preoccupied myself with trying to setup a few different apps on my phone so that I could log my run and have something to listen to. Nothing was working as it should have been so I soon had to abandon that idea and just focus on the running. This wasn't the best start for me as I usually run listening to music or a podcast so everything felt a little out of the ordinary and it threw me off a bit. It took me a good five minutes to find my stride and get into the right mindset. By which point the majority of the group had left me for dust! As i'm not used to running with other people I think I felt much better and more calm once the main group of runners had left me and I was in my own little zone again. I quickly realised that I was going to complete the run at a slower pace than the majority of others but I tried to not let that deflate me too much during the run. It was clear that my usual half an hour time wasn't quite hitting the 5k mark so I had to run further than I had been used to which tired me out quite quickly. Without even realising it I had also chosen a more trickier park as this one had a huge steep hill in the middle of it which really slowed me down! In the end I completed the run in 44 minutes which in all honesty I couldn't help but feel a little let down by. I think i've been so focused on getting through the Couch to 5k programme and keeping going for the distance that I haven't really paid any attention to my pace. I'm trying not to be too hard on myself but it did feel like a bit of a reality check! I know deep down that to even get to this stage is a huge accomplishment and to push myself to take part in a Park Run is amazing. I guess we're always our own worst critics right!? Park Run was pretty much everything I had expected it to be, aside from the course which had felt more challenging than my usual flat path route. All of the others runners were friendly and the volunteers were really helpful and encouraging. I can certainly see why this has become such a popular event with people and I did feel a buzz from taking part in it. I would definitely like to do it again but I think I may try out a few other local parks to see what one fits me best. I'm not sure if i'll be going every week and instead I think it's probably going to be something I dip in and out of. So what's my plan now!? Well I think it's fair to say that running has become quite a big part a part of my life so there'll be no turning my back on it now. The benefits I have reaped from this exercise, both mentally and physically, are huge motivators in continuing to get out there. At present I don't have any burning desire to push to a 10k so I guess for now i'd like to work on upping my pace a bit and achieving better times with the 5k's. I'm sure when the time is right I may then start to try to increase my distance too. 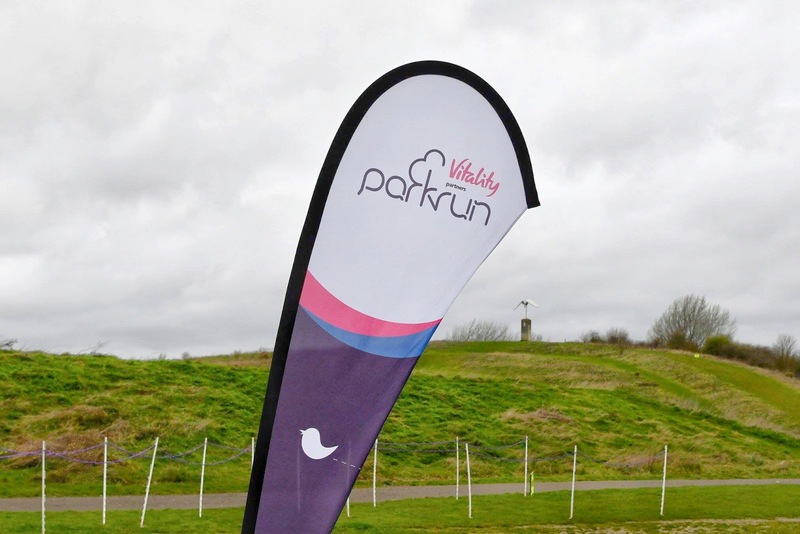 Have you ever taken part in a Park Run? Or have you been putting it off like I did for so long!? I'd love to hear some of your own experiences! I also took part in 'Coach to 5K' and completed my first 5K Race for Life a few years ago. It was a great experience and the feeling I had when I got to the finish line was amazing. I followed that by a 10K muddy obstacle race later that year. Sadly I haven't done any running recently, but it is something I'd like to take up again.